2018 Lifetime Achievement Award Brian Cullen Sr.
Brian Cullen has always been a hard-working, goal-oriented achiever. 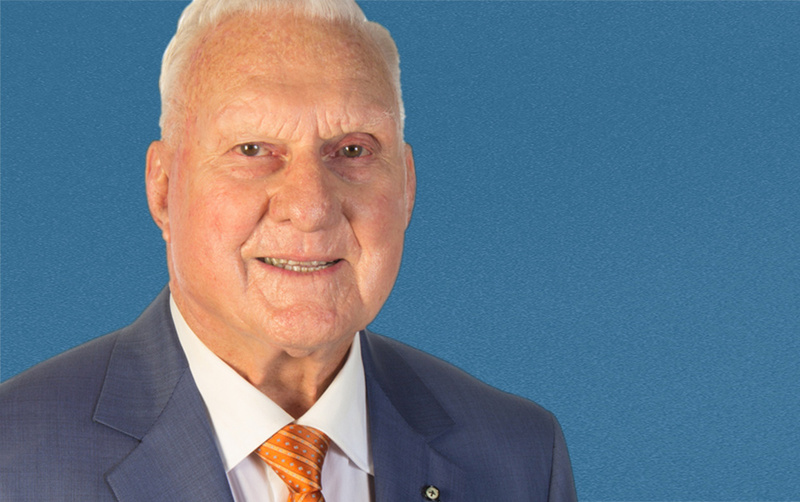 Whether excelling during his NHL career with the Toronto Maples Leafs and New York Rangers or surpassing sales goals at the automobile dealerships he started in 1966, Brian’s passion for delivering results has been the cornerstone of his character. That passion has been passed on to his children who now operate his three dealerships in St. Catharines, Niagara Falls and Cambridge. Brian’s commitment to making a difference in his community and the automotive industry is equally as impressive as his drive to deliver results. Extensive sports team sponsorships, volunteer board positions and generous support of charity fundraising initiatives are just a few of the ways Brian gives back to his customers and communities. Brian also believes that it is extremely important to support local businesses where his customers work so that everyone prospers. Brian’s expertise in sales and the automotive industry is regularly sought out by individuals and organizations looking for trusted advice. Whether it is a request for his perspective from industry associations, General Motors or a young entrepreneur seeking direction, Brian is always pleased to provide guidance and encouragement. In 2017, Brian was honoured with the CADA Laureate Ambassadorship Award for his extraordinary service to his community and the automotive industry. Brian Cullen was just named the #1 Corvette Selling Dealer in Canada for 2018. The ultimate team player, Brian credits his business success to his management teams and employees that deliver exceptional customer service each and every day.